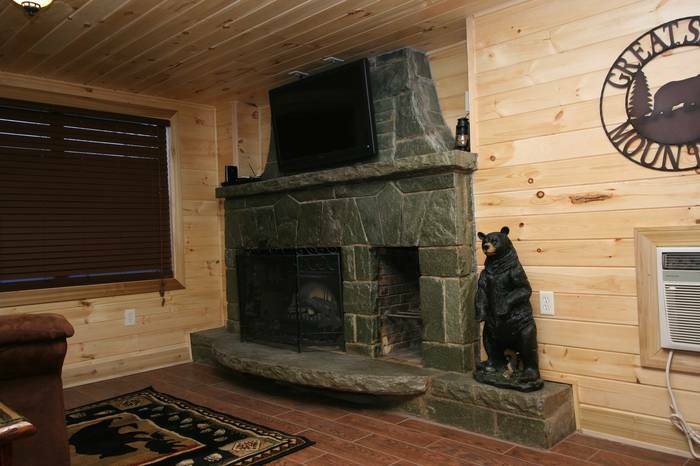 Gatlinburg Cabin Rentals private cabin with upstairs loft bedroom, huge red heart shaped jacuzzi for 2, outdoor hot tub, nestled on our beautiful and secluded private mountain top - fully equipped kitchen, fireplace, Free Wi-Fi, 2 large HDTV's, DVD player, private deck overlooking wooded view. 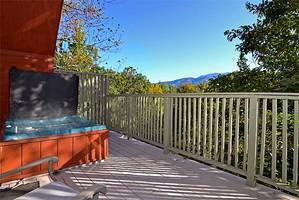 Exclusively for couples, anniversary, birthday, special getaway, Gatlinburg honeymoon hideaway, or Gatlinburg honeymoon cabin rental. Not well suited for children or families. Maximum Occupancy: 2. No pets, no smoking. 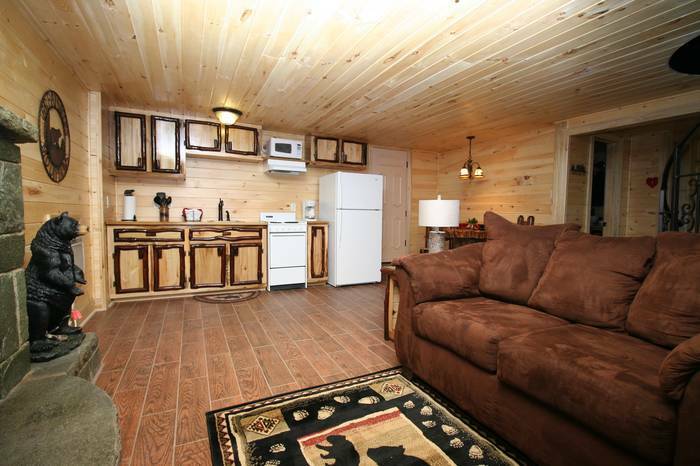 We rented this cabin for our honeymoon. Cupid's Cabin was very clean and cozy. The staff was polite and very helpful. We think we did just about everything there is to so in town. It was nice to have a comfortable place to relax after our long days on the town. 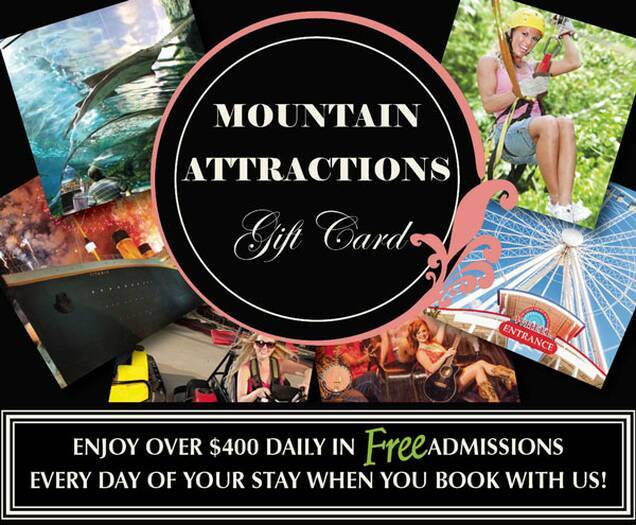 Our favorite attractions were Dixie Stampede and the Gatlinburg Mountain Coaster. We had an amazing weekend. Everything was simple, nice and comfortable. We enjoyed our stay in Cupid's Cabin and our wedding ceremony. It was just what we wanted. and our honeymoon at the Honeymoon Hills Resort. Our time at Honeymoon Hills was amazing! The people are courteous and very helpful. 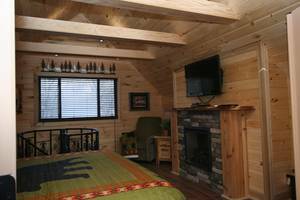 The cabins are unbelievably romantic and outstanding. I would recommend Honeymoon Hills and the Chapel at Honeymoon Hills to anyone and everyone. 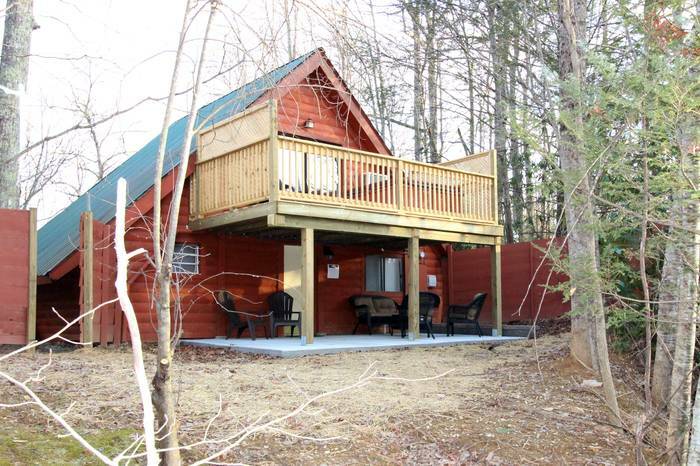 Our cabin at Honeymoon Hills was a great, amazing honeymoon getaway! in May. We stayed in Cupid’s Cabin. It is such a remarkable place and I will absolutely recommend this place to friends and family for a wonderful vacation. Thank you! Honeymoon Hills was such a magical and romantic place to our honeymoon. We had a wonderful time filled with memories to last a lifetime. We have decided to spend every anniversary at Honeymoon Hills! Our vacation in Cupid's Cabin was a great experience. Everything was very clean and cozy. Honeymoon Hills has the greatest and very helpful staff. Very easy to check-in, just a wonderful and relaxing experience. We will definitely be staying again in the future! Where do I start? Our experience with Chapel at Honeymoon Hills was most definitely the most wonderful experience we've had since we met. James and I met in high school years ago in the late 80's. The last time we found each other was in 2005. We knew what we had for each other was real and we were destined to be together. 'Third's time's the charm' so they say and boy are 'they' ever right! We have been happily married since our wedding at Chapel at Honeymoon Hills. Without Jeannie, I would have lost my mind trying to get things organized and situated. James told me to plan it and we would attend! Okay then! Jeannie came to my rescue! The wedding went without a single hitch. We stayed at Cupid's Cabin. The honeymoon was even greater. Our wedding photos were so good, we bought every single one and never wanted to leave! The friendly, helpful and most kind folks at Honeymoon Hills were a huge part of the beginning of our successful marriage. Our Minister worked so hard to ensure every detail was well taken care of...even those behind the scenes signing paperwork. The experience will never be forgotten! If I had it all to do over again, I'd do it 1,000 more times just the same and of course to the same man. GOD BLESS Chapel at Honeymoon Hills! We've been together now going on five years. We love each other more and more each pass day. The Family Medallion Ceremony was truly a blessing for us and our children. THANK YOU! The most memorable part of our trip would be our wedding ceremony at Chapel at Honeymoon Hills. Our wedding ceremony was so much more than we expected. Everyone at the Chapel made us feel comfortable, it was great! Getting fitted for my wedding dress was a wonderful experience as well. We really enjoyed our time at Honeymoon Hills Cupid's Cabin. 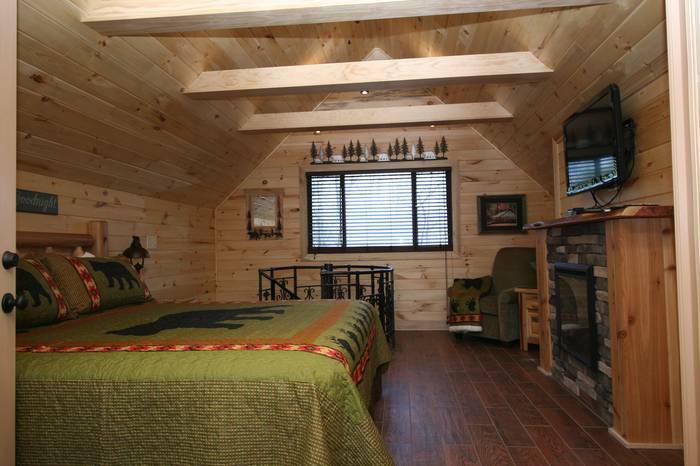 The cabin was beautiful and we really fell in love with it. We had a great wedding and honeymoon. Thanks to everyone at Honeymoon Hills! We plan on returning on our first anniversary. We love Gatlinburg. My family and I visit at least three times every year. 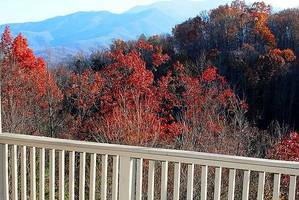 Gatlinburg is beautiful with so much to do! I would like to start by saying what an awesome place. We got married at Chapel at Honeymoon Hills and honeymooned in Cupid's Cabin. Spending three days at Honeymoon Hills was a great experience for a slice of Heaven. This was our first stay at Cupid's Cabin. Everything was so romantic and luxurious. The man of my life proposed to me on bended knee. We look forward to visiting again. We are considering getting married here. We truly recommend Cupid's Cabin to our friends & relatives. Absolutely beautiful. We are glad to experience such a romantic getaway. 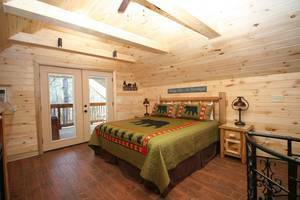 Cupid's Cabin is #1 on our list of vacations (loved it)! Wow!! Wow!! Wow!! I have truly been wow'd! 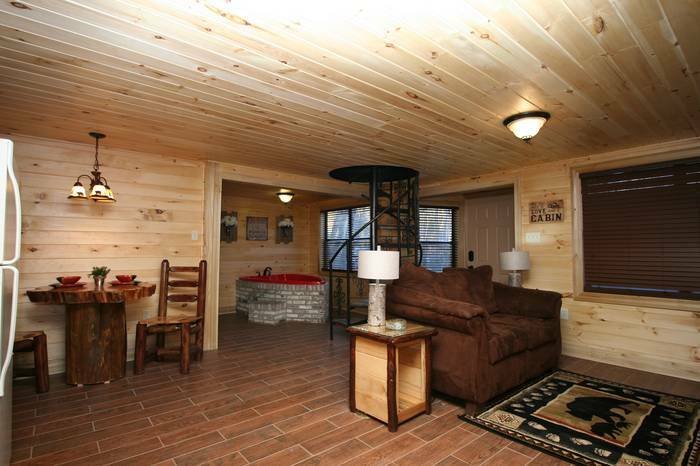 This has officially turned into our getaway place for my fiance' and I. This was my first time ever to Gatlinburg. I am completely amazed. Cupid's Cabin is absolutely beautiful. Everything that one would need to stay here was provided. I have had the very best birthday weekend ever! Will we return? ABSOLUTELY! I am going to tell everyone that I know about Cupid's Cabin at Honeymoon Hills! We really enjoyed our stay at Cupid's Cabin. Our wedding and honeymoon was perfect. This weekend was the happiest of my entire life!! There is nothing I would change except to be able to stay longer. The cabin was so romantic with the heart-shaped jacuzzi tub, the spiral staircase and beautiful bedroom suite. We plan to come back for our one year anniversary, if not sooner! This was a second honeymoon for us. We enjoyed the breath taking views from the cabin and the romantic atmosphere of the cabin. It was really hard to leave! We had an excellent time and would recommend Honeymoon Hills to any couple looking for a romantic getaway. We had a wonderful weekend enjoying the peace and quiet of the mountains. My wife had a wonderful time relaxing after graduating college. 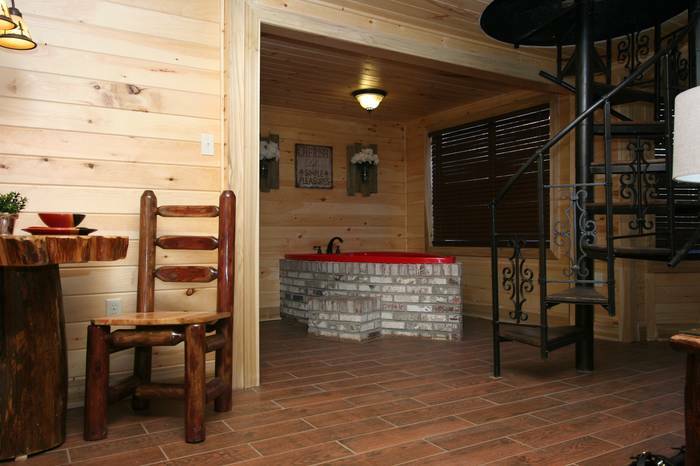 The cabin was perfect with the heart shaped tub and hot tub outside. 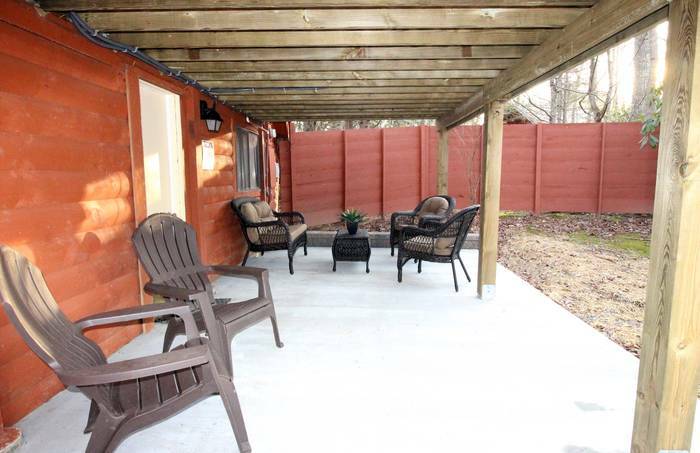 All the shops and downtown area were in very close proximity to our cabin, it was perfect! 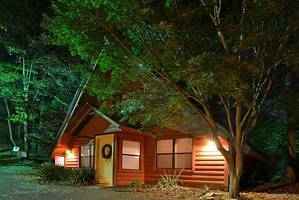 What my husband and I enjoyed was how beautiful our cabin was. It was very neat and clean. We loved how peaceful everything was. 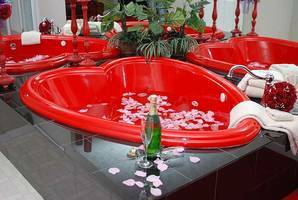 We really enjoyed the heart shaped jacuzzi. My husband and I really needed time alone together and this was the perfect getaway for us. We absolutely loved the Cupid's Cabin and definitely will be back. P.S. The customer service was super. Laurie was so sweet and helpful. 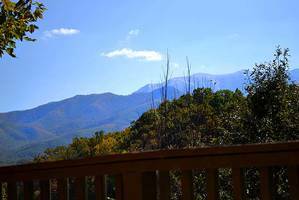 What we enjoyed most about Gatlinburg was the peace and quiet. 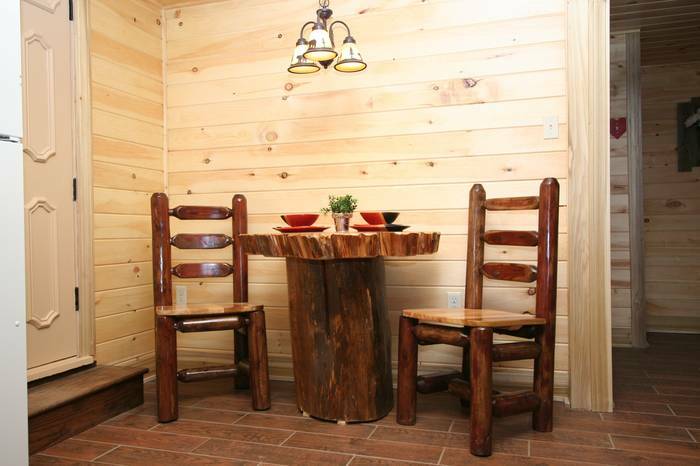 Also, we enjoyed the romantic atmosphere of the cabin. We were really pleased with how helpful everyone was to make sure we had the best experience possible, and we did. Thank you for everything. We will be back for our one year anniversary. Going to Honeymoon Hills was a last minute decision. This was my birthday weekend. After talking with Jeanie I knew I had to go to Gatlinburg. She was very helpful and I enjoyed talking with her. After our arrival I fell in love with the place. It was so romantic. We loved the decor. 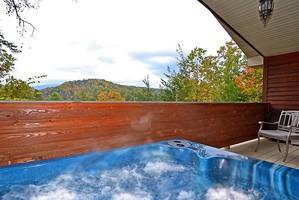 My favorite was the heart shaped jacuzzi and the outdoor hot tub. This was the best birthday ever. We hope to return soon and enjoy another wonderful weekend in Gatlinburg. I will be recommending Honeymoon Hills to all my friends! Thanks for a wonderful restful weekend with the man I love!! Our experience at Honeymoon Hills was amazing. Cupid's Cabin was very beautiful. The cabin was very clean. My husband and I came here for our anniversary. We both agree thqat our experience here was better than our honeymoon. I would highly recommend Honeymoon Hills and Cupid's Cabin to everyone. 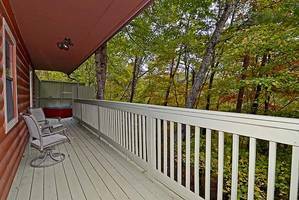 I will especially tell everyone I know visiting Gatlinburg to consider Honeymoon Hills and Cupid's Cabin for a very romantic experience. I'm looking forward to returning to Gatlinburg and Honeymoon Hills in the future. 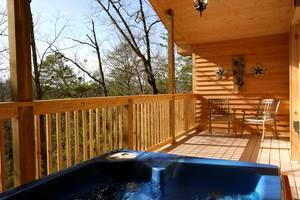 Great place to getaway but near all the attractions of Gatlinburg. The scenery from our cabin was beautiful and romantic. It was just what we needed to spark or reignite the passion in our relationship. We will visit again and recommend to all couples! Our trip was to celebrate my husband's homecoming. He is a United States Marine who was deployed for nine months. Before he came home, I wanted to book a honeymoon type getaway since we didn't get a honeymoon after we got married. Someone suggested Tennessee. I found Honeymoon Hills cabins. They looked beautiful! When we arrived it was more beautiful than the pictures. The ladies that helped me with the reservation were very nice and very understanding. When my husband's deployment got extended, we weren't sure if any of this would happen! We were both very happy and pleased with our choice to spend Christmas at Honeymoon Hills. Thank you! This trip was a surprise for my husband and we loved it. It was quiet, private and secluded which was important for us as we have three teenage boys at home along with my father who recently had back surgery. We have to be quiet most of the time, so it make it difficult to enjoy or be open with our love making. This was a joyous experience. We were both able to open up more and be our true selves with our passion for one another during this time of our lives. We had a fairytale wedding that continued when we came to Gatlinburg. We pulled up in the driveway of Cupid's Cabin to see a view that was so breathtaking, amazing and spectacular. From the beautiful gazebo, the old time carriage, the beautiful wedding chapel, and of course our amazing cabin. My husband carried me over the threshold into our cabin. It was breathtaking. 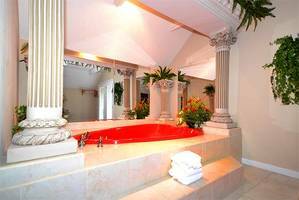 The fireplace and jacuzzi were so romantic. The spiral staircase leading to our bedroom, the victorian king sized bed, the hot tub outside was like a fairytale and so very romantic. Oh yeah, we also enjoyed the pool table. We absolutely loved the privacy and seclusion. It was truly a romantic getaway! We highly recommend Honeymoon Hills for a quiet, private, romantic time. We will definitely be back! Our cabin was the cutest, most romantic, cozy little cabin I have ever had the pleasure of staying in. From the time my wife and I arrived at Cupid’s Cabin it was nothing but perfection. The fine folks at Honeymoon Hills went above and beyond to make us feel comfortable and welcome. We went for a birthday getaway for my wife and we will be coming back for any possible reason we can think of! Gatlinburg itself was too much fun! If it’s your first night in Gatlinburg, make sure you take the Skylift in the evening and eat dinner at the Alamo’s at least once. They have the best steak I have ever had by far. My wife and I would like to thank the wonderful people at Honeymoon Hills for an amazing weekend. We will be seeing you again soon. 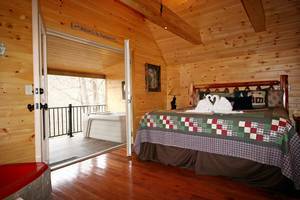 We chose to stay at Cupid’s Cabin in Honeymoon Hills to spend our honeymoon after our wedding. 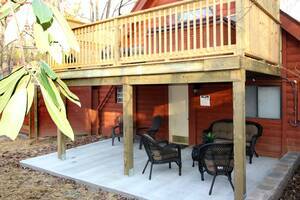 We enjoyed the layout of the cabin and it’s accessibility to all of Gatlinburg. We were able to take in several attractions like Ripley’s Aquarium, Ober Gatlinburg, the Skylift, shopping and many great places to eat. Thanks for making our first week together as a married couple so special! Gatlinburg was a very fun place to be. It was beautiful and there was so much for us to do. Our cabin was Cupid’s Cabin. It was wonderful, peaceful and close to many great attractions. The Honeymoon Hills staff were very sweet and kind. We were celebrating our wedding, honeymoon and my wife’s birthday. She loved it there. Some of our favorite things to do were the Skylift, Mirror Mazes and just walking the Gatlinburg and Pigeon Forge strip. We went to the Wax Museum and Star Cars. Both places were awesome and very educational. Our favorite restaurant was Cracker Barrel. The best ice cream shop was Baskin-Robbins. We enjoyed our stay at Cupid’s Cabin very much. 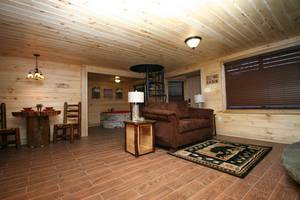 The cabin was just like the pictures showed online. It was quiet and peaceful. We had no disturbances. We enjoyed being close to town and a Gatlinburg Trolley stop. We did so much while we were in Gatlinburg and Pigeon Forge. We have to come back again! Our honeymoon was just perfect. We did not visit many attractions in Gatlinburg. We mostly stayed in Cupid’s Cabin because we loved our cabin so much! This trip helped me and my loved one connect a lot more. We will be back. The cabin was clean when we arrived on Sunday. Although we were only there for 2 nights we used the free admission to Wonderworks and had a blast! The location of the cabin to the strip was PERFECT. We had a great time staying at Cupid’s Cabin. It was a wonderful getaway for our four year wedding anniversary. We loved going to the Aquarium and doing the Hillbilly Putt-Putt. We will be planning another trip to come back and stay! Thank y’all for everything, it was perfect! My husband recently returned from a year long deployment. He departed just 10 days after we got married. We decided a trip to the mountains as an anniversary and a honeymoon retreat was the perfect way to celebrate his return. Booking at Honeymoon Hills couldn’t have been easier! 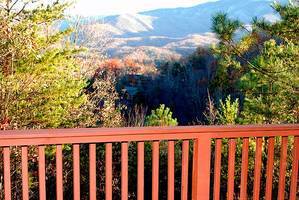 We stayed at Cupid’s Cabin and the location was the perfect balance of seclusion and being close to the hustle and bustle of Gatlinburg! This trip was for our honeymoon. We stayed at Cupid’s Cabin and absolutely loved it. The pictures online look nice but it was really much better in person. We absolutely loved the solitude. We got a pass code to the door and you come and go whenever you feel like it. We will definitely go back again. Gatlinburg was a pretty neat place. Definitely must see the ‘Hollywood Cars Museum’. I may have enjoyed the car museum more than my wife but it was awesome! We had a magical stay at Cupid’s Cabin. It was very cozy and quiet. Everyone was super friendly and check-in was a breeze! We ate at Bennett’s BBQ in Gatlinburg and it was amazing. We mostly relaxed and enjoyed the cabin as it was just a weekend getaway. We will without a question return to Honeymoon Hills! We had an amazing time at Cupid’s Cabin. Everything was very clean upon our arrival. My husband and I said multiple times that we were very happy we found this place! We have been together for eight years but this was our first wedding anniversary so this cabin made it extra special. Christopher and I plan to come back every year to celebrate. Thank you for opening this experience up to us! P.S. We loved the cabin so much, we never left!!! 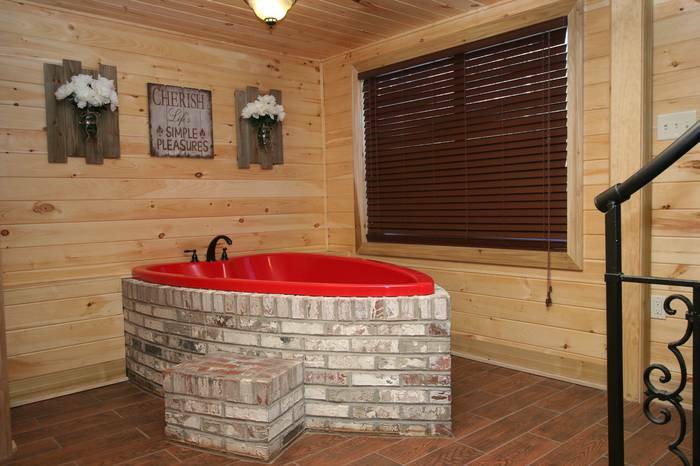 My wife and I are staying in Cupid’s Cabin for our honeymoon. We were married on July 12th. We loved our cabin. The VIP Entertainment Passport tickets came in handy so well, for our trip. Our first day we spent every minute in Gatlinburg and did every attraction but Ripley’s Aquarium which we are saving for Friday. Our second day we just relaxed in the wonderful king bed and spent time with one another. Thank you Honeymoon Hills! Our experience with Honeymoon Hills was great from the very beginning. From booking the cabin to the turn by turn directions, everything was perfect. 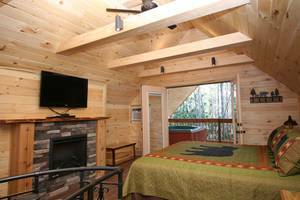 Once we arrived at Cupid’s Cabin it was 100% ready for us to begin enjoying our honeymoon. The couple of time we spoke with someone they were beyond friendly and helpful and ready to answer any question we had. 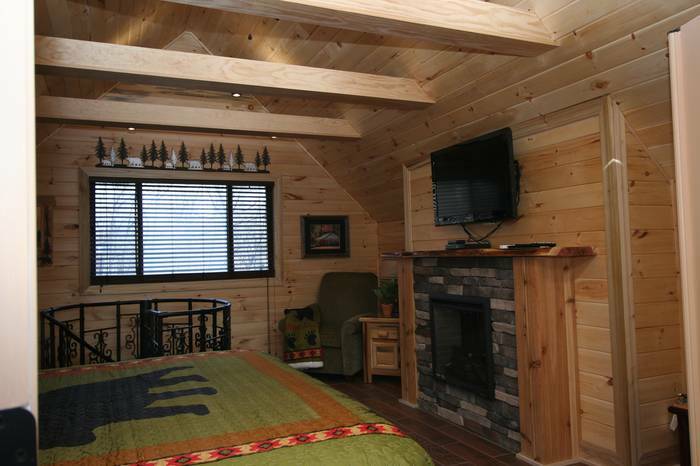 We will definitely be referring all of our family and friends to stay with Honeymoon Hills! Cupid’s Cabin was a great place to stay. We really enjoyed our stay! Love, love, love Honeymoon Hills and Cupid’s Cabin. 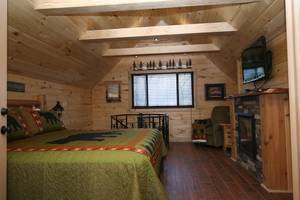 The cabin was well maintained and very romantic. The wedding ceremony was planned perfectly for us so we didn’t have to sorry about a thing! We absolutely loved the staff and their professionalism. She made us feel very comfortable. Her photography skills were amazing! Our wedding pictures gave us memories to cherish forever. Thanks for the memories! This was a long awaited trip for my boyfriend and me. We planned the trip while he was deployed to Afghanistan. It was a highly anticipated trip for much needed relaxation. 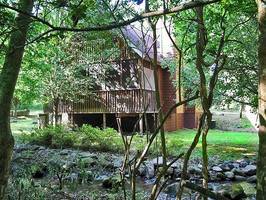 After a long car ride, we finally arrived at Cupid’s Cabin nestled in the foothills of the Great Smoky Mountains. At the top of the hill was our cozy cabin! The scenery around the cabin was beautiful with the lighted gazebo and the waterfall that really set the mood. Inside the cabin was like a dream with a warm fire, pool table, kitchen and the heart shaped jacuzzi tub which I honestly wish we could have packed and took it home with us since it was the highlight of our trip! Upstairs was a king sized bed that was super comfortable and roomy with a very romantic feel to it. Of course outside was the hot tub which was the perfect end to the night, especially with the cool night. The cabin location was also perfect with a short drive to all that the Smoky’s have to offer along with the great attractions of Pigeon Forge. All in all, the cabin was everything we could have asked for. Cupid definitely made you fall in love with everything the beautiful, quiet, romantic cabin had to offer. I highly recommend! 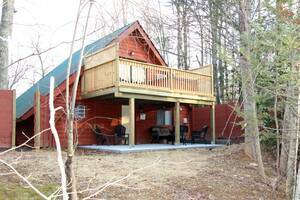 Beautiful cabin that gave us a chance to finally relax and enjoy our anniversary! Our trip was for our honeymoon. My husband and I loved Cupid’s Cabin. It was a lot bigger than what we had originally thought but still cozy enough for 2. The free passes gave us plenty to do. We absolutely loved Ripley's Aquarium. We absolutely loved Cupid’s Cabin! Our favorite was the spiral staircase up to the bedroom—absolutely stunning! The place was very, very clean. We will definitely be back again. Thank you for such a friendly staff & great stay! We stayed in Cupid’s Cabin. It was very nice. The bed was really comfortable. We only wished we could have stayed longer. It was a very short stay and definitely worth the trip! You made for a once in a lifetime vacation. 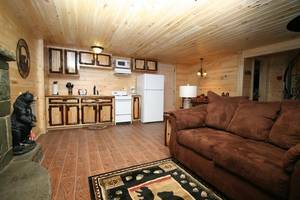 The Cupid’s Cabin was a beautiful cabin with more than a couple would ever need. The attraction tickets daily made everything a really great deal. The grounds were so beautiful. The gazebo and waterfall was so peaceful. The cabin was a bit out of town and very private. Thank you so much! We were here on our honeymoon. We got married on January 18 and got here two days later to begin our vacation. We’re from Daytona Beach, FL so we aren’t used to seeing mountains. This place was beautiful top to bottom. We enjoy driving, so we drove the Cade’s Cove Scenic Loop. We drove around and stopped at all of the little shops in Gatlinburg. Chattanooga was just a short day trip away, so we went to Rock City, Ruby Falls and rode the incline railway. We went to the Aquarium in Gatlinburg and just had a wonderful time! Cupid’s Cabin was exactly what we were hoping for on our anniversary weekend. We were close to everything but without being caught up in the gridlock on the main parkway. No wasted time checking in or checking out. Everything was taken care of before we arrived. The cabin was clean and the kitchen was well stocked with everything we needed to enjoy our anniversary meal. To top it all off, the VIP Entertainment tickets were awesome. We will be back! We had our 30th Wedding Anniversary at Cupid’s Cabin. The cabin was very clean and everything we were told it would be. It was so nice and quiet. We enjoyed our time there. We at the the Alamo Steak House which was great Would highly recommend this place to others but have to admit, my wife was the best attraction—sorry! We came to Gatlinburg for our honeymoon! This was a big deal because we never have the opportunity to go away. I have two kids from a previous marriage and two jobs. He works and goes to school so our lives are ridiculously busy all the time! We really enjoyed the Ripley’s Aquarium and Davy Crockett Mini Golf. We ate at the Alamo Steak House which was amazing. We went back to the cabin early every night so the pool table was a good idea! I think we must have played 50 games of pool in 3 days. Everything was beautiful and the scenery was amazing as well. We will definitely be back! Thanks for a great stay at Cupid’s Cabin. Everything extra I ordered for our stay was right on! I would tell anyone to try Honeymoon Hills. They did a great job in making our stay very nice. Thanks again! Our trip was to celebrate Valentine’s Day because we had to work on the 14th. We had an exceptionally good time at Cupid’s Cabin. We went to the Gatlinburg strip and Hard Rock Cafe. Margaritaville was amazing. Thanks for making our stay great!